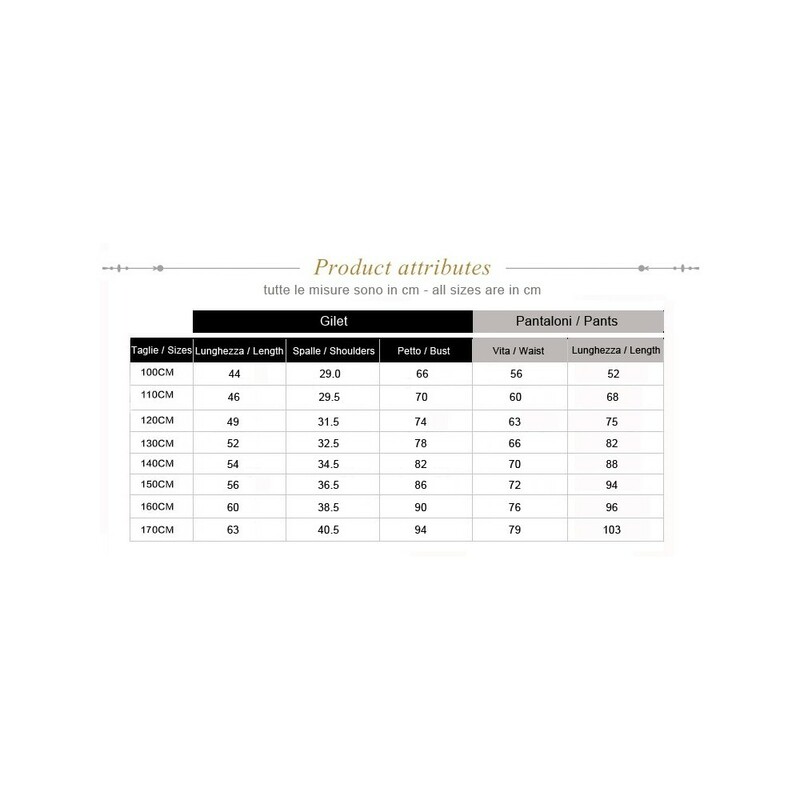 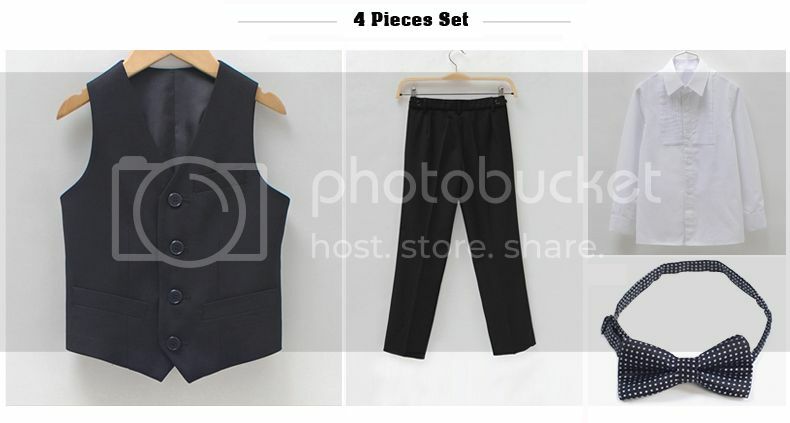 3 colours available: black suit, blue suit, black and white suit. 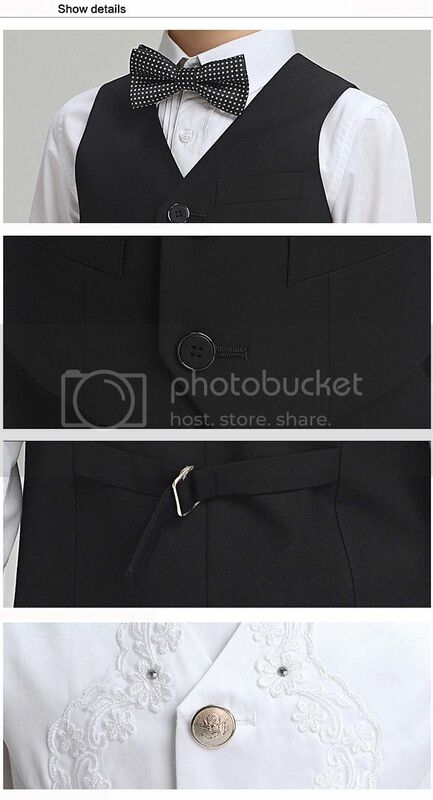 The shirt is white in all suits. 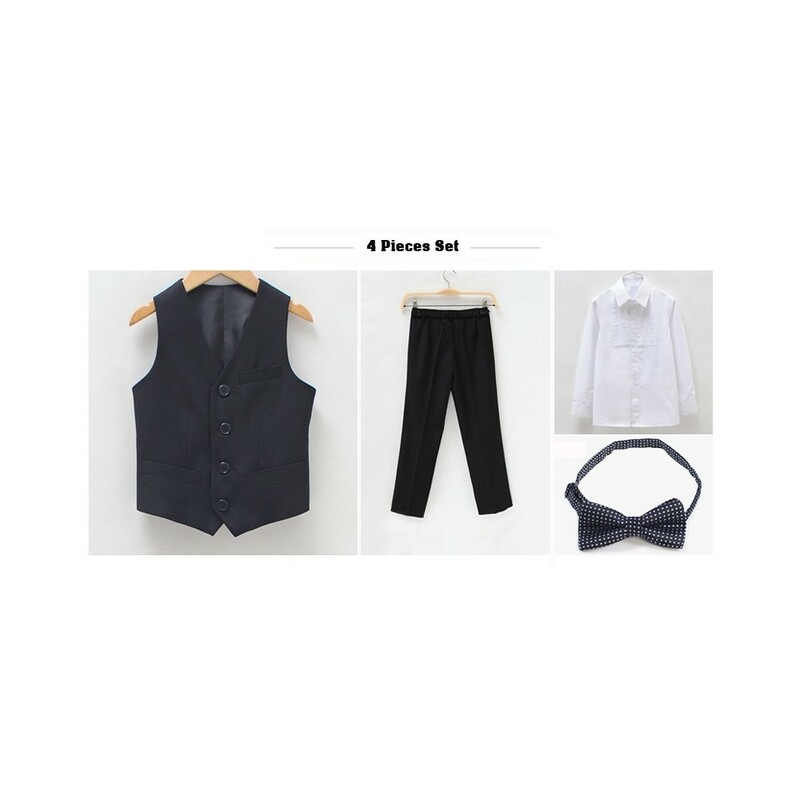 It is made of 4 pieces: trousers, white shirt, gilet and bow tie. 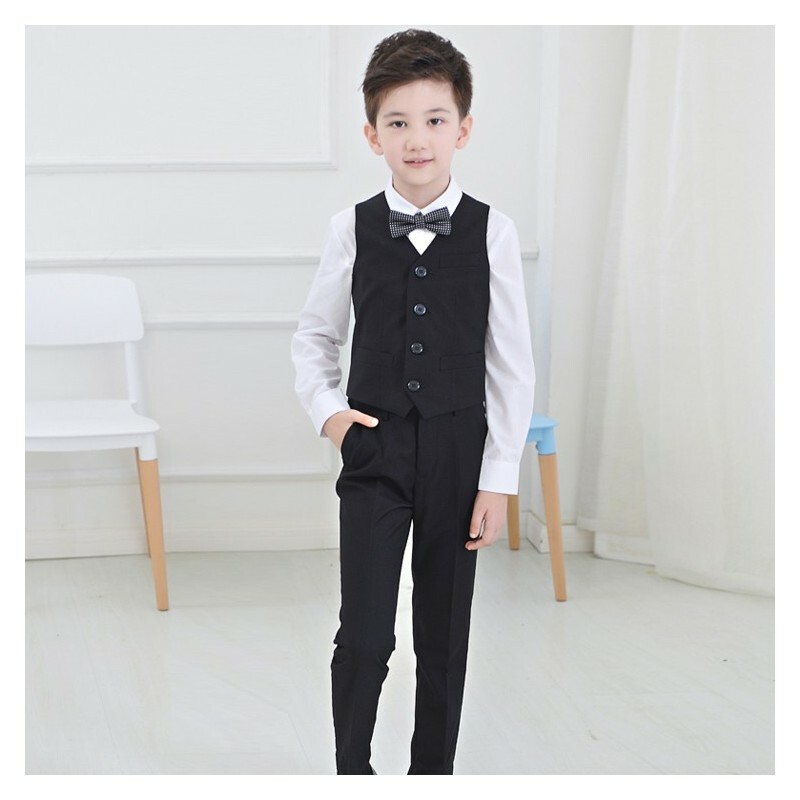 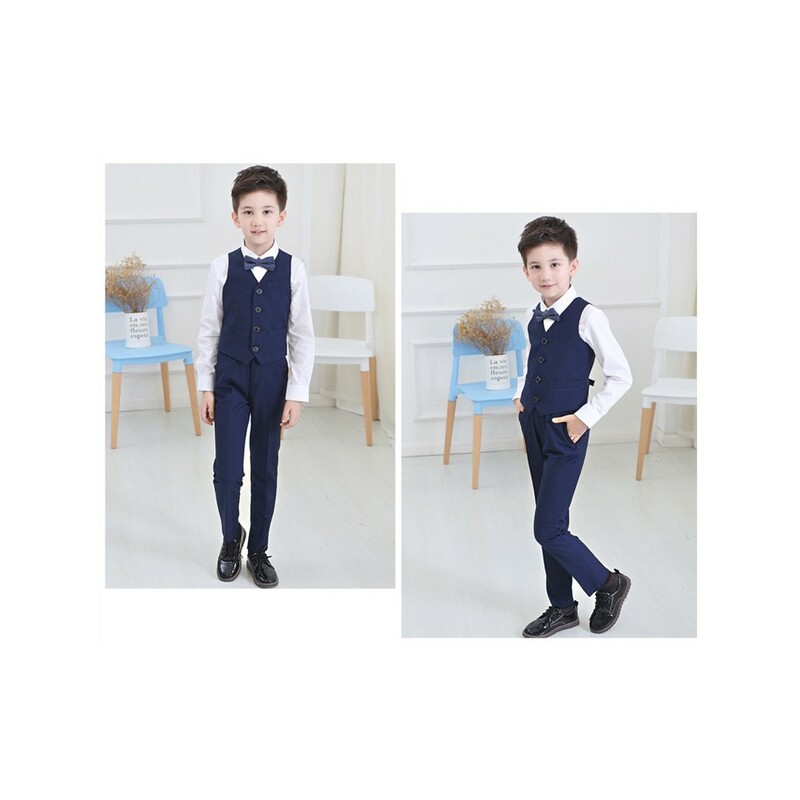 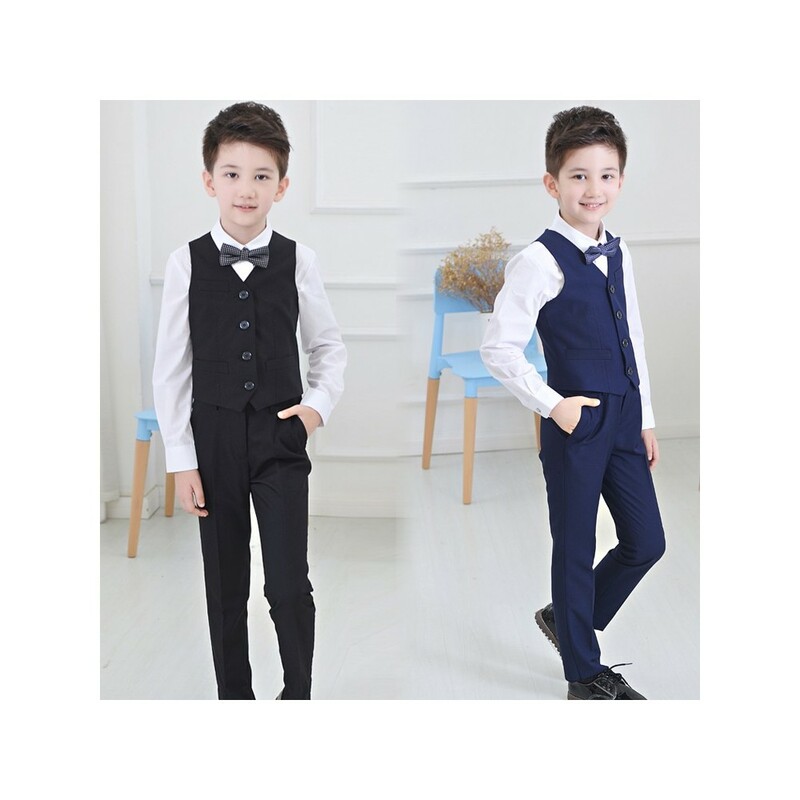 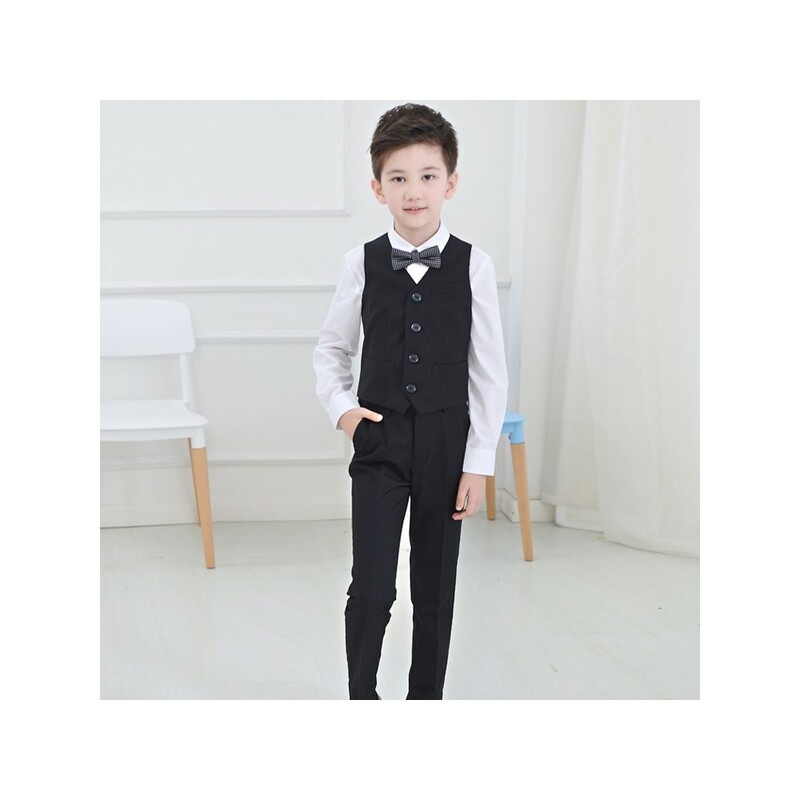 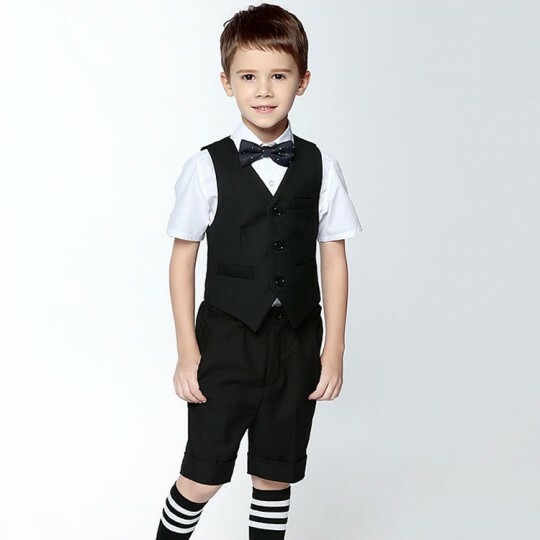 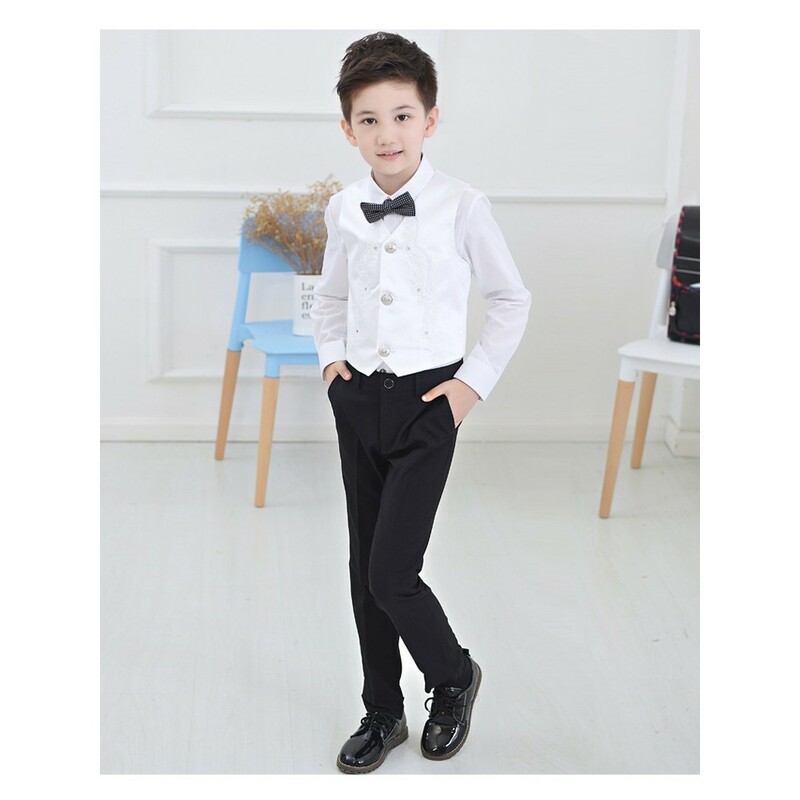 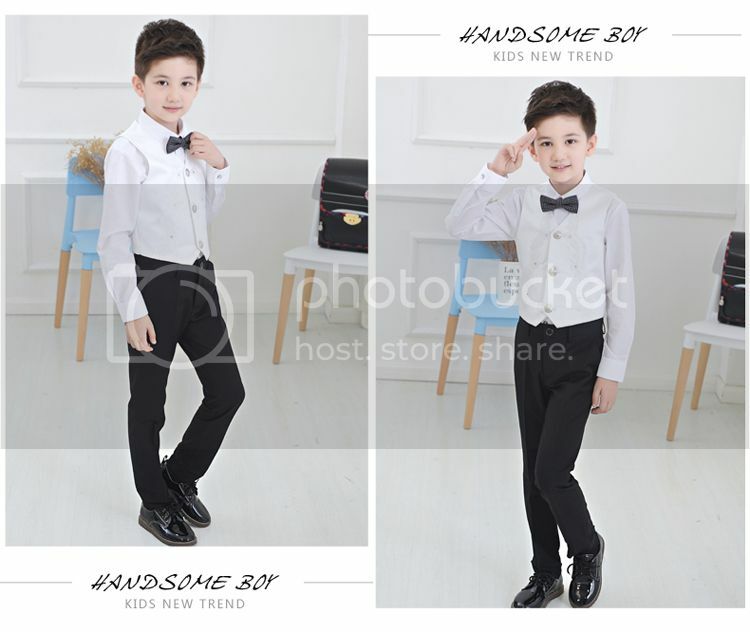 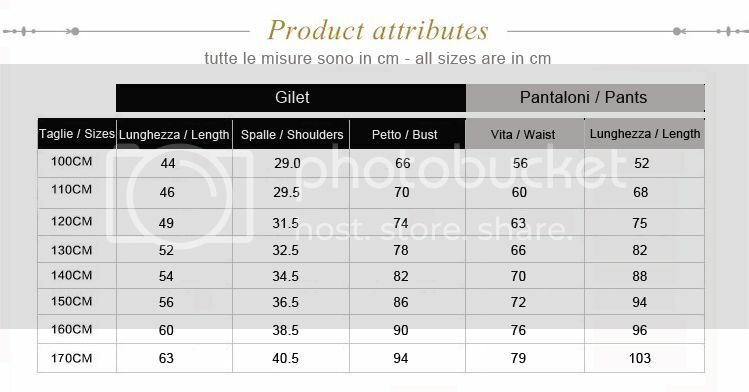 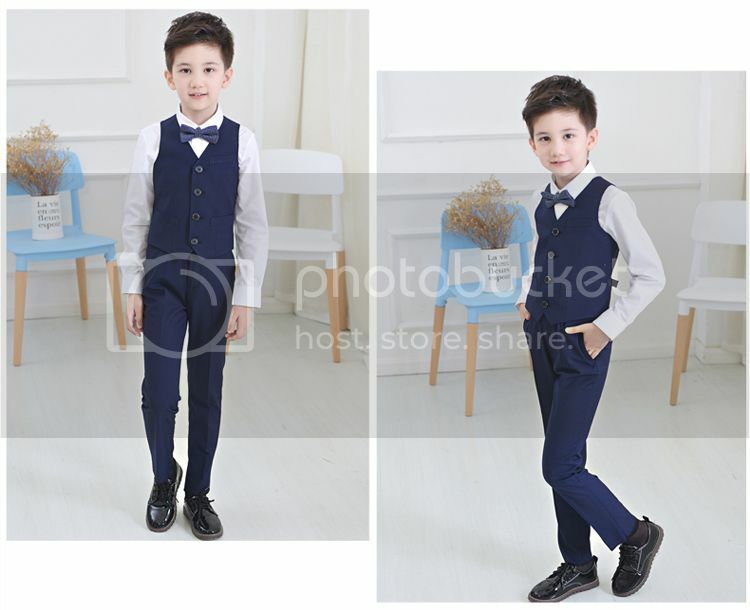 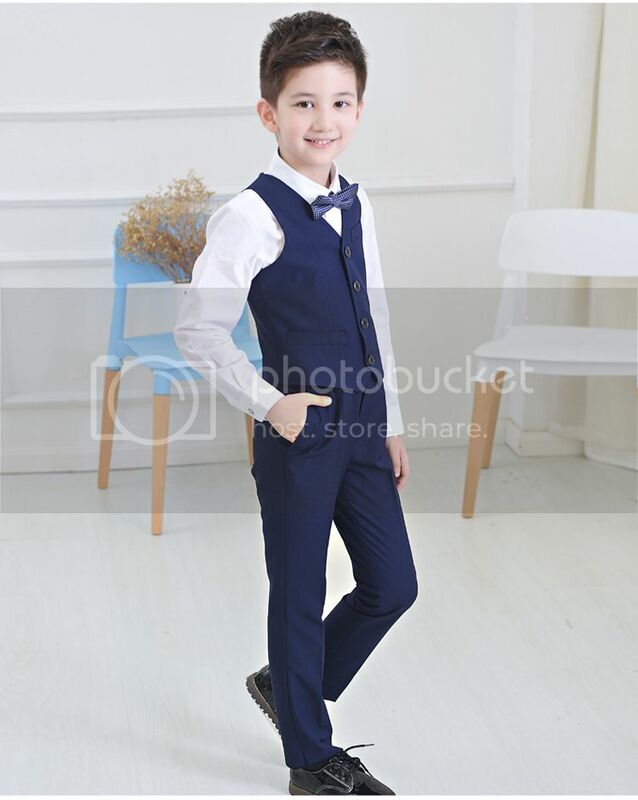 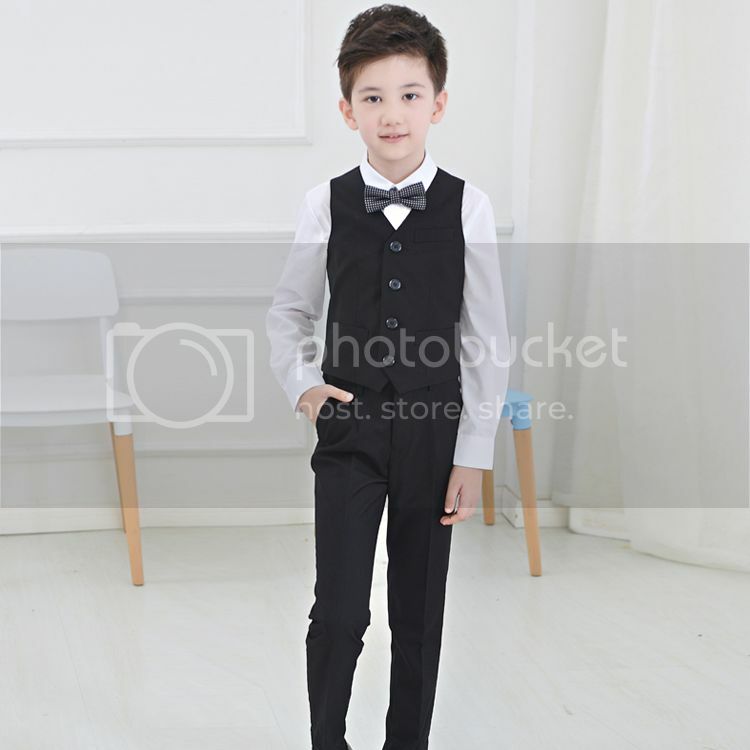 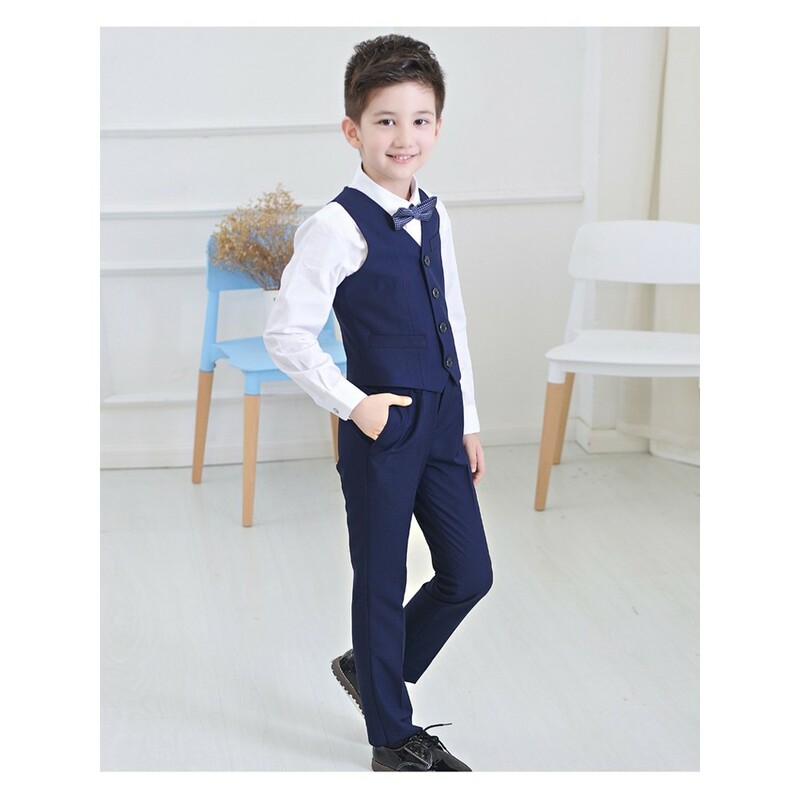 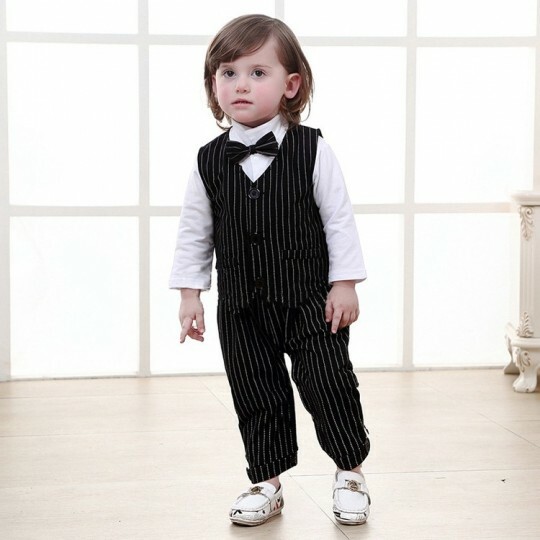 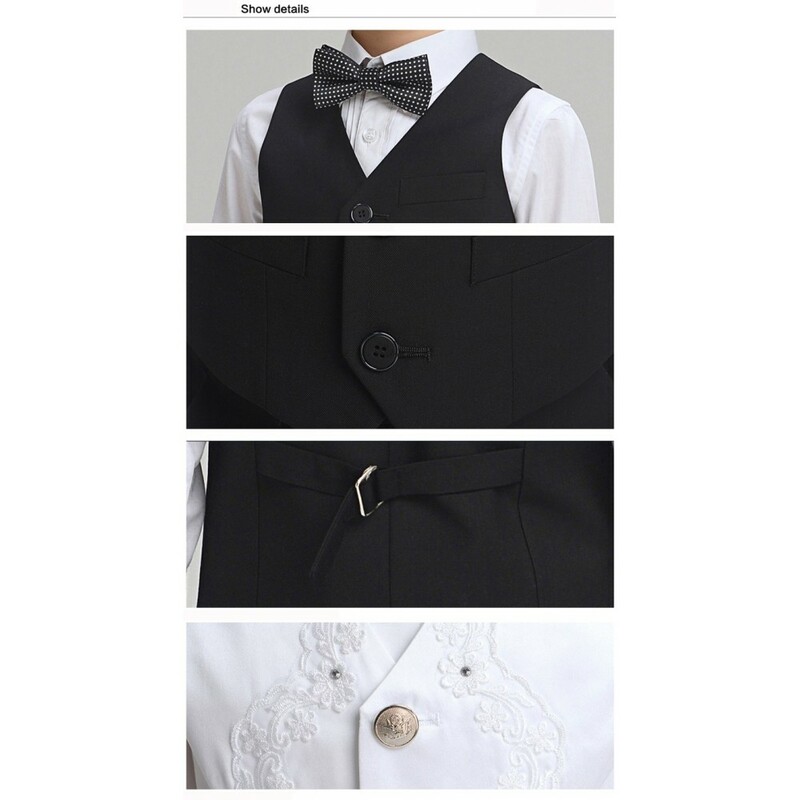 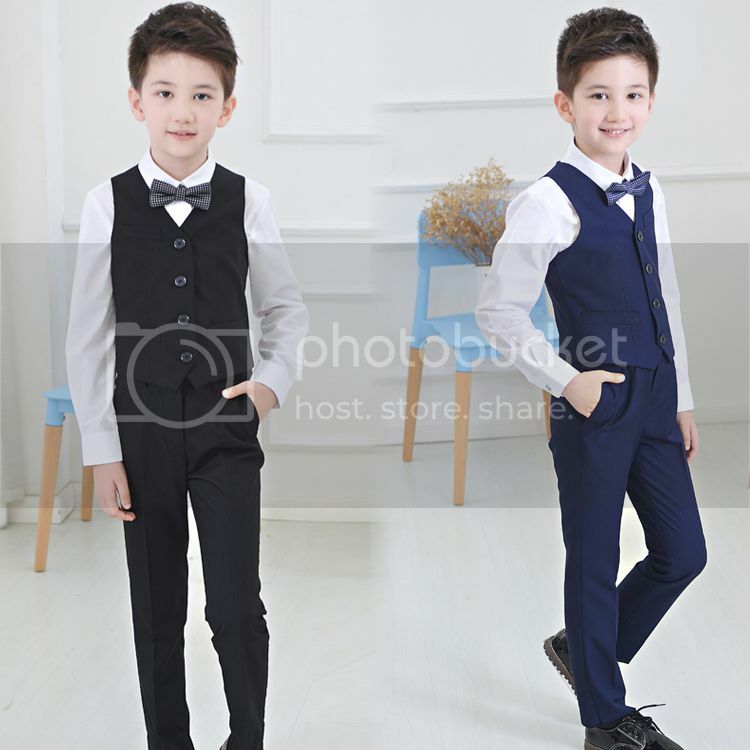 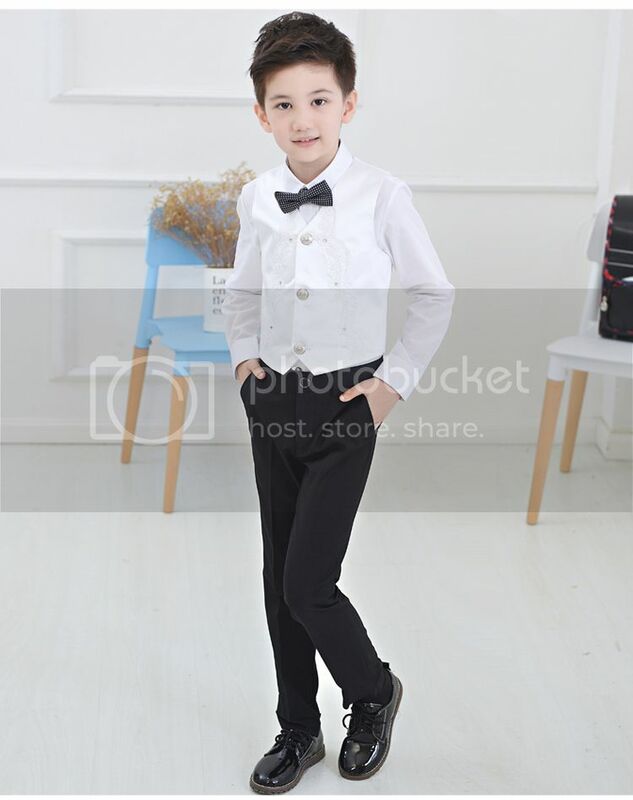 Elegant boy formal suit, made of 4 pieces, suitable for a ceremony or an important occasion.